Giant Peanuts Dimensional Dog House Bulletin Board Set. 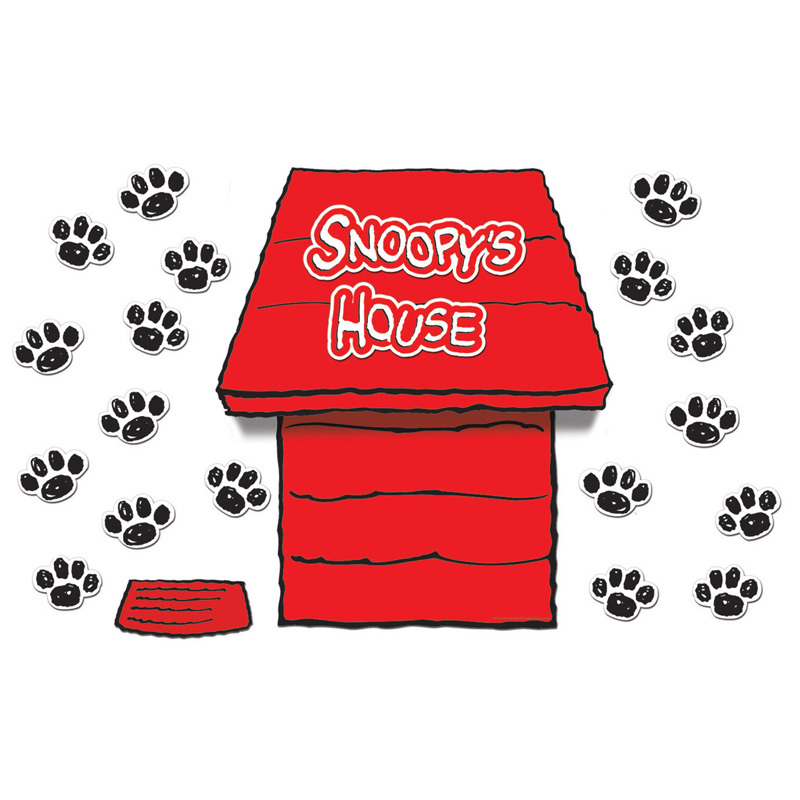 Includes: 1 giant 4 foot dimensional dog house (which comes in three sections that can be placed together and folded for a dimensional display), 1 die-cut dog bowl, 1 two piece die-cut "Snoopy's House" sign and 18 paw prints. This house set can be the focus piece for all "Snoopy Pose" bulletin board sets.